First of all, Pujol… I mole you! You’re one of the best restaurants in the world, No. 20 to be exact. You have taken Mexican food to the next level. 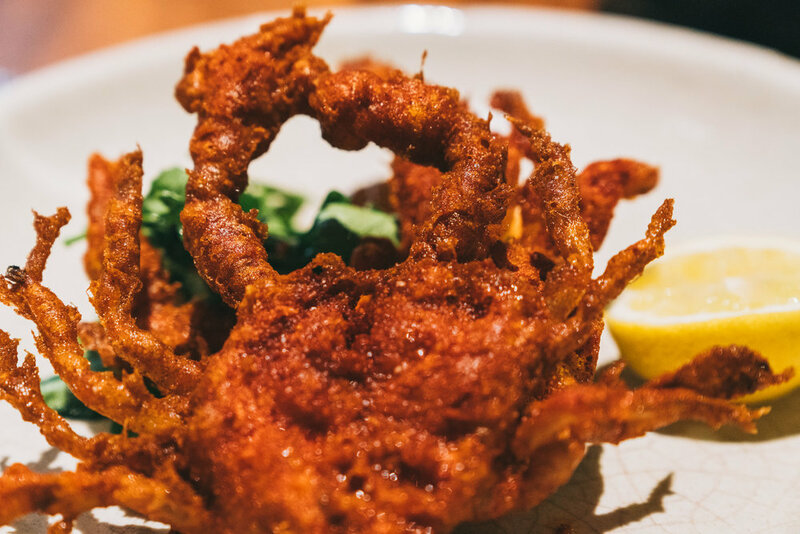 From the streets into fine dining and you have given it its own mark. From using flying ants to cooking mole for more than 3 years. You managed to bring out all the wonderful flavors of Mexico in a new and refined way. 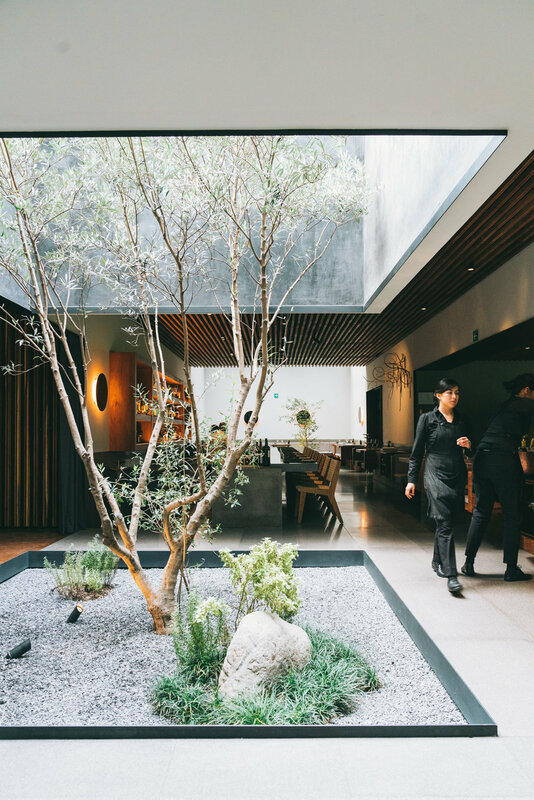 Enrique Olvera just reopened Pujol in 2017 at a spacious new venue that the team designed from ground up for the perfect fine dining experience. It’s in the Polanco district of Mexico City and it looks fabulous. It features a wood-burning oven, terrazzo flooring, a private side room with record player and vinyl collection, a long bar that serves its own taco menu and a beautiful outdoor lounging space. It’s Pujol’s signature dish. Served on a plate in a circle of fresh mole sauce (Mole Nuevo) surrounded by an outer layer of mole (Mole Madre) that has been aged for more than 1,000 days. Through the long cooking process and because younger mole (3-4 month old) has to be mixed in every now and then, the taste of the mole changes very quickly. It has to be tasted weekly and the beverage pairing that can be ordered with the tasting menu is being changed almost every week as well. The Mole Madre that we got served was a respectable record of 1,345 days old. 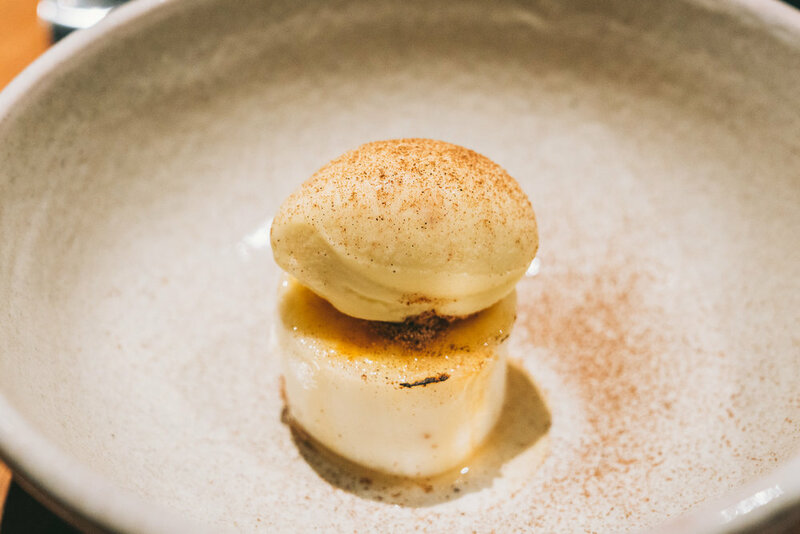 It’s a fascinating dish with two contrasting flavors and one great example of how Enrique Olvera lets you delve into the magic of Mexican cuisine. 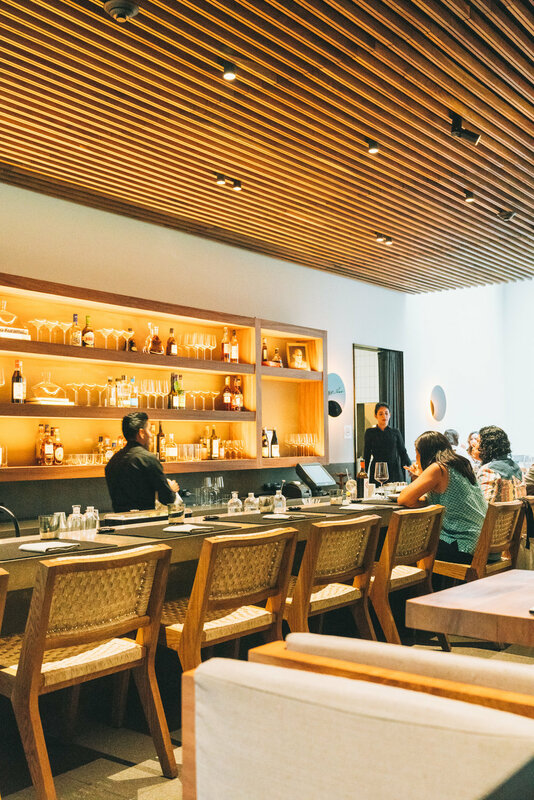 It’s still pretty difficult to get a reservation at Pujol. The secret is to go for lunch and book a table a few weeks ahead. We initially thought we were going to eat at the bar and try out the well-recommended taco menu but got seated at a beautiful table in the main dining room right away. Excited and oblivious, our lunch developed into having the full tasting menu with beverage pairing. This resulted in a 4h meal getting more and more inebriated every hour and being the last ones in the restaurant at 5 pm. We had a blast and you’ll get the most delicious wines, cocktails, and mezcal shots, but be warned you’ll have to take a cab home.